Read my Instato Instagram Bot Review to learn How you can drive free traffic from Instagram using Instato Bot Tools and Automation. What is INSTATO? Watch this! we create our Instagram presence without doing a tone of work. 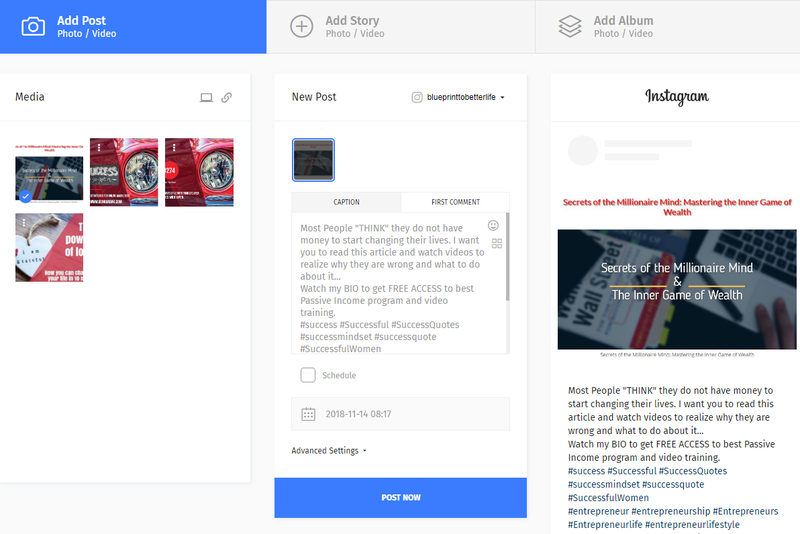 And most likely people will go to our profile to see who we are... And this is where we can offer them our promotional link or link to our main site...this is our free traffic from real people from Instagram. For now all you need to do to use Instato Automation is click this button below to sign up and than connect your Instagram account. What Instato does? ​Instato runs your Instagram account for you. ​INSTATO is Instagram BOT and automation tool with auto follow and auto like features (plus much more) . Need FREE traffic? This is how you can get it free from Instagram and on autopilot. Instato allows you to get more real Instagram followers organically. Post and grow your Instagram network with real followers! 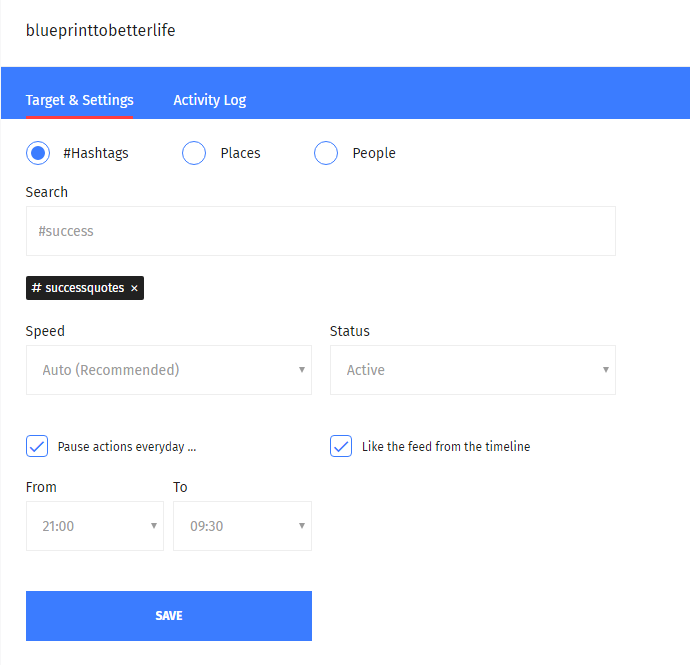 This is how your Instato Bot Dashboard will look like when you register your Instato Instagram Automation tool account and connect it to your Instagram account. Add your Instagram Post and Schedule it - Instato Bot allows you to get new real Instagram followers organically! It is easy to add new post and even schedule it using Instato bot. You will enjoy this process. I like to use my blog articles for this. 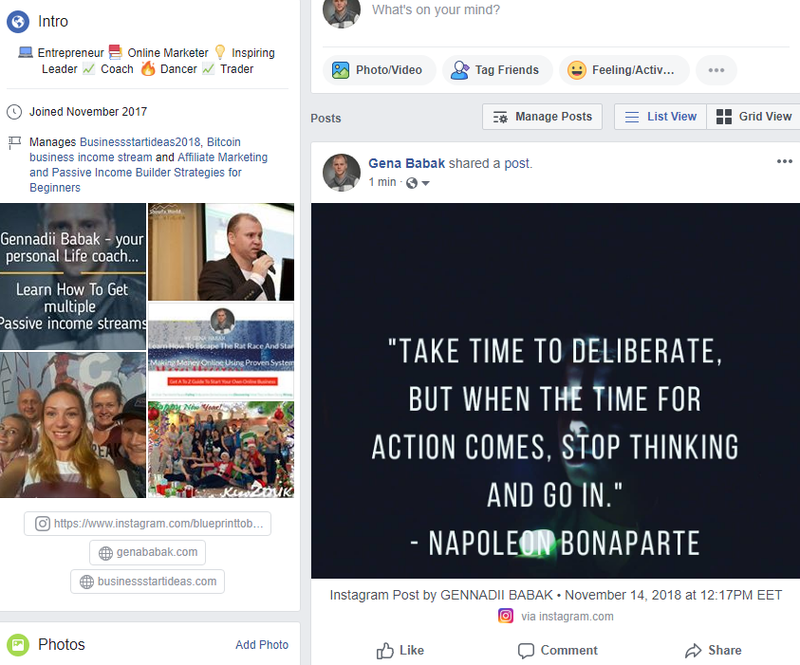 Plus this is how I can really fast share this great posts to my Facebook time-line or to my Facebook page or group - giving my friends more ideas and motivation as well! 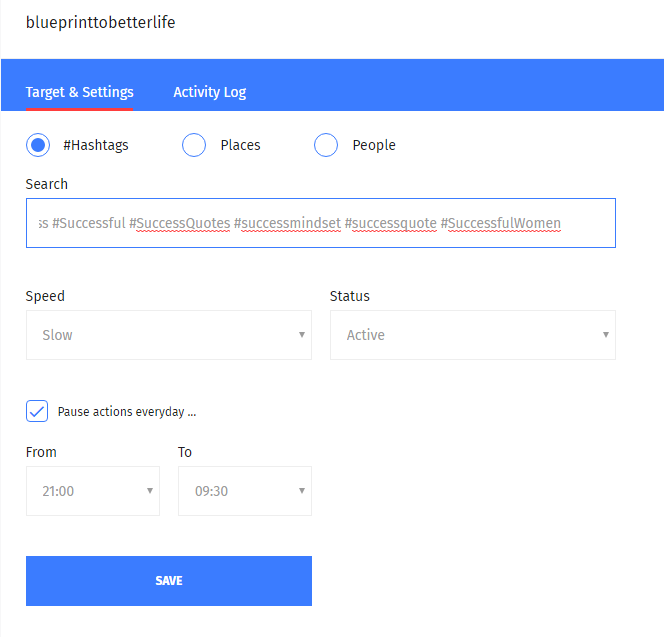 This is time saving feature - you can use INSTATO to auto follow Instagram people using hashtags or places or people. Plus you can also Unfollow on autopilot. Another amazing time - sever feature from Instato Bot - now you do not need to spend time looking what to post to your Instagram account. Instagram has a lot of interesting accounts related to your niche with lots of interesting posts people make every singe day. 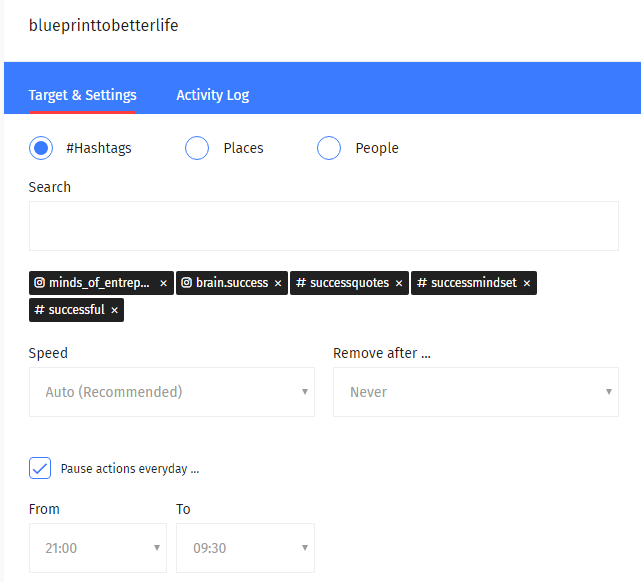 Just chose hashtag or people (person) you like and Instato Bot will automatically repost new messages to your account! Instato Auto DM is AUTO DIRECT MESSAGE - this is where the money is made! This is how you can set your messages to reply to your new followers. 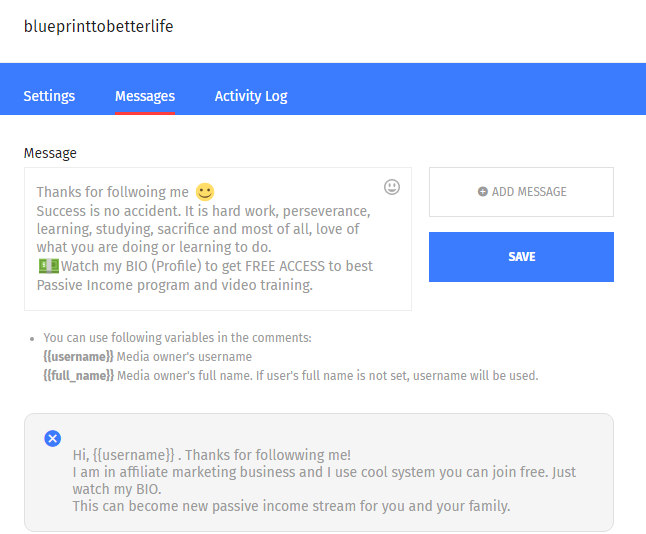 When a new follower follows you our Instato Bot will send him a message (we created this message in our AUTO DM Settings). 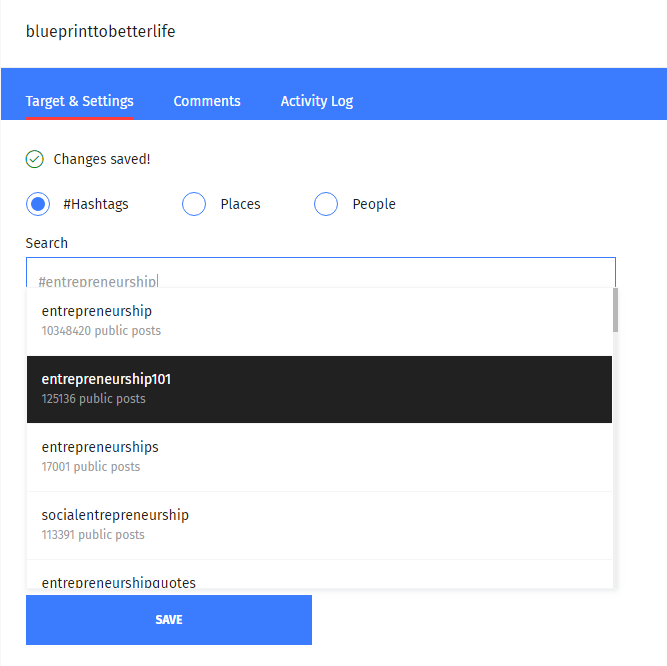 Auto comment using hashtags or people to get even more engagement. And last but not least AUTO LIKE feature from Instato Instagram Automation tool. Now you may ask - ok, I like it - but how I make money with my Instagram account? 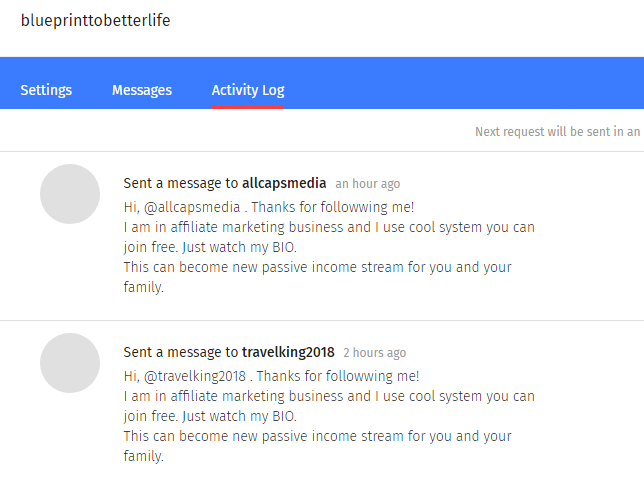 there more followers you get - the more people will click your affiliate link giving you sales and creating new passive income stream for you. I hope this was usefull. Yes, plus it is really working.